The end is near, folks. Google Reader will officially shut down on July 1 whether you are ready for it or not. Thankfully, services like Feedly have stepped up to the plate to make sure that RSS addicts still have options when that day arrives. In a blog post this morning, Feedly announced that their replacement service, Feedly Cloud, is now available to everyone. With Feedly Cloud, the RSS replacement service now has an entire platform to make them completely independent of Google Reader, which is a good thing since we are days away from Google’s RSS service shutting down. Feedly Cloud can be used simply by visiting cloud.feedly.com from any browser, for free. Once there, you’ll be prompted to sign-up for service with an option to import your Google Reader list. I highly recommend that you do not put this off – the last thing you want to do is hit July 2 and wonder why your RSS app is no longer populating with new articles. 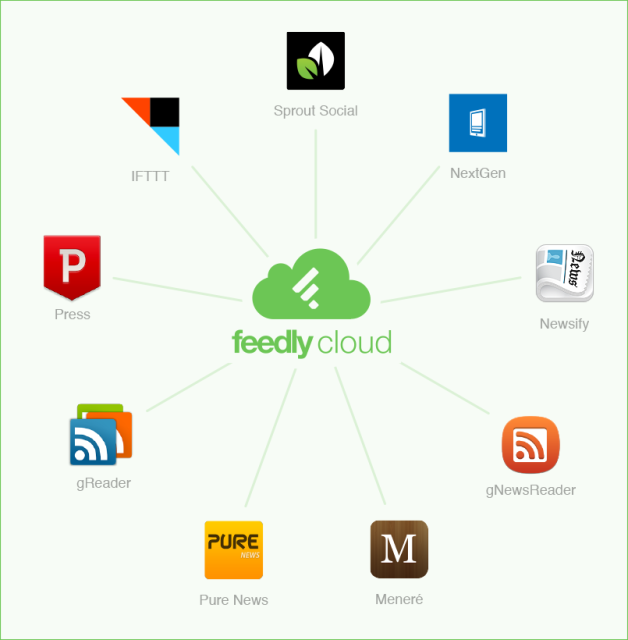 And speaking of apps, Feedly has already acknowledged that popular RSS readers like Press and gReader will work with the new cloud service in the future. Press went ahead and pushed an update to their Android app this morning, and sure enough it includes Feedly Cloud support. gReader has yet to see an update, though we would assume it’ll be here before July 1. Also, don’t forget that the Feedly app for Android is a hell of an app. It’s UI and gesture-based browsing can take some getting used to, but once you do, I think you’ll love it. If Feedly doesn’t sound like the service for you, at least make sure you download your data for Google Reader through Google Takeout. Last, Digg is also building an RSS service, however, they have yet to even launch the platform publicly. They are hoping to do so next week, but and Android app isn’t going to be released for a month or two.